​With Nike releasing their controversial 30th anniversary "Just Do It" campaign yesterday that featured Colin Kaepernick as the face of it, Nike has been the recipient of brutal criticism. Apparently, however, they weren't the only company willing to take backlash in order to give Kaepernick a bigger platform. 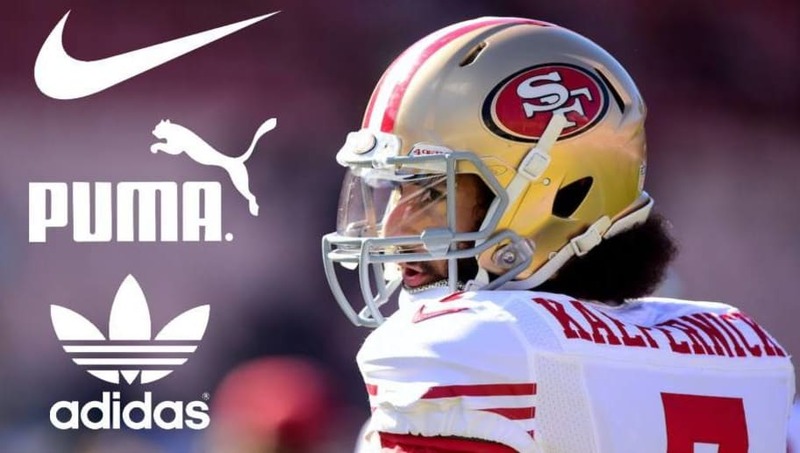 It has been reported by industry insiders that Adidas and Puma, two other enormous shoe and clothing companies, were looking to potentially build around Kaepernick if Nike didn't renew his deal with them. “We talked about Colin in March. A lot, actually,” one shoe industry executive said. “We all know the specific kind of deals NFL players are on with each other. His deal was running out and he had a shoe commitment that hadn’t been done for whatever reason. I’m sure it was because of everything that was going on around him. But it looked like Nike was running out the clock on [his deal] because he didn’t have a lot of time left and nothing was really happening with him. So there were some discussions for us about what kind of an endorser he could be." Even though many have strayed away from Kaepernick as they did not want to get involved with him and what he was doing, it's clear that companies like Nike, Puma and Adidas saw a huge opportunity to make money and saw Kap as someone who could influence millions of people around the world. ​It's definitely a huge risk to take, but one that could definitely pay off in the long run. ​Kap is set to make a ton of money and we'll soon hear more about his official campaign with Nike. One thing we do know is that this will continually cause a split among society regarding social issues.